(Blowing Rock, NC) – The National Park Service announces the closure of the Linn Cove Viaduct on the Blue Ridge Parkway for surface repaving and bridge maintenance from March 1, 2018 through May 24, 2018. These projects require a full closure of the Parkway, including closure of the trail below the bridge; with the reopening coinciding with Memorial Day weekend. The Linn Cove Viaduct is located at Milepost 304. A traffic detour will be put in place from Milepost 298.6 (Holloway Mountain Rd) to Milepost 305.1 (US 221). Gates will be located at MP 303.6, Wilson Creek Overlook on the north and MP 305.1, US 221 on the south end of the work zone. Within the closed area, including the trail areas beneath the viaduct, the Parkway will be closed to all uses including motorists, cyclists, and pedestrians. The public’s cooperation with these closures will provide for the most efficient work schedule and will ensure the safety of staff and visitors. During the closure, crews will remove and replace the asphalt pavement, waterproofing membrane and joints on the bridge. Repairs to the supporting structure, stone curb, railing and drainage features will also be made. 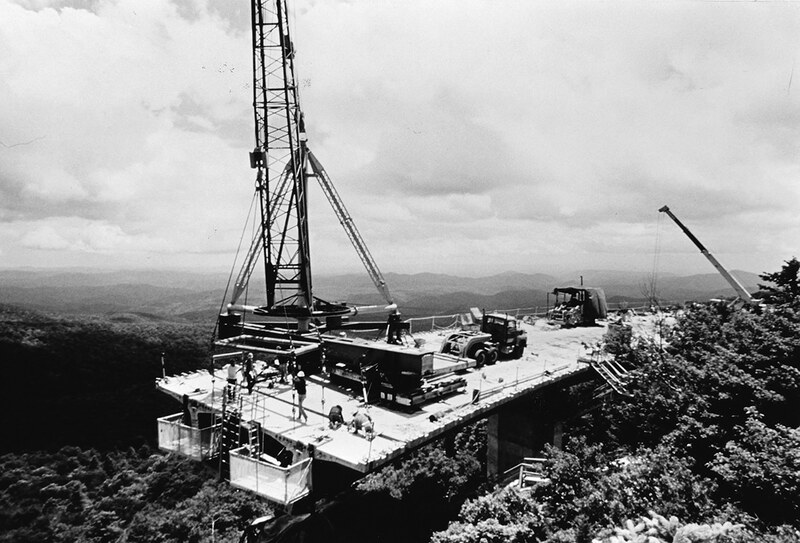 The Linn Cove Viaduct was completed in the mid-1980s, and is commonly known as the “missing link” that signaled the completion of the entire 469-mile Parkway route. The Linn Cove Viaduct is often celebrated as an engineering marvel with the road wrapping around the contours of Grandfather Mountain. It is 1243 feet long, contains 153 segments weighing 50 tons each, and is supported by seven permanent piers. The Blue Ridge Parkway inventory of paved roads includes bridges, tunnels, parking areas, spur roads, service roads, campground and picnic area roads, and the 469-mile Parkway motor route itself. Across the Parkway, many of these areas exceed recommended life cycles for pavement and are in need of repairs estimated to total over $300 million. Funding for road maintenance on the Parkway comes in large part from the Highway Trust Fund, which is derived from a federal fuel tax. 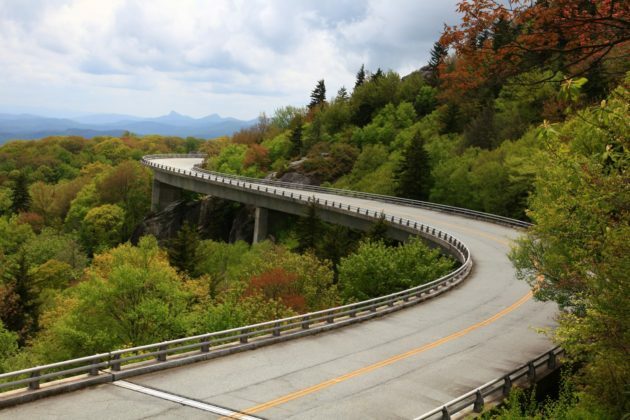 The Blue Ridge Parkway annually identifies projects and competes for these funds to repair and maintain park roads.